Gurupurnima 2014 A function was organized on the occasion of Gurupurnima on July 12, 2014 at Triguna Sen Auditorium in Jadavpur University, Kolkata. On this auspicious occasion, the Hindi version of the treatise ‘Science of Oneness’— ‘Ekatva Ka Vigyan’ was released by Vedantacharya Professor Bhavani Ganguly. The English documentary ‘I-Witness’ on the science of Self Realization of Sri Sri Babathakur made by Sri Karamjeet Singh received international acclaim and was awarded special honour at Indonesia for which Sri Singh was felicitated by the Society on this occasion. The 3rd and 4th volumes of Audio CD’s of ‘Mai Kaun’ sung by Sri Kedar Narayan Bodas was also released on the day. A DVD of the deliberation of the Divine Master was shown and then devotees rendered revealed songs of Sri Sri Babathakur. 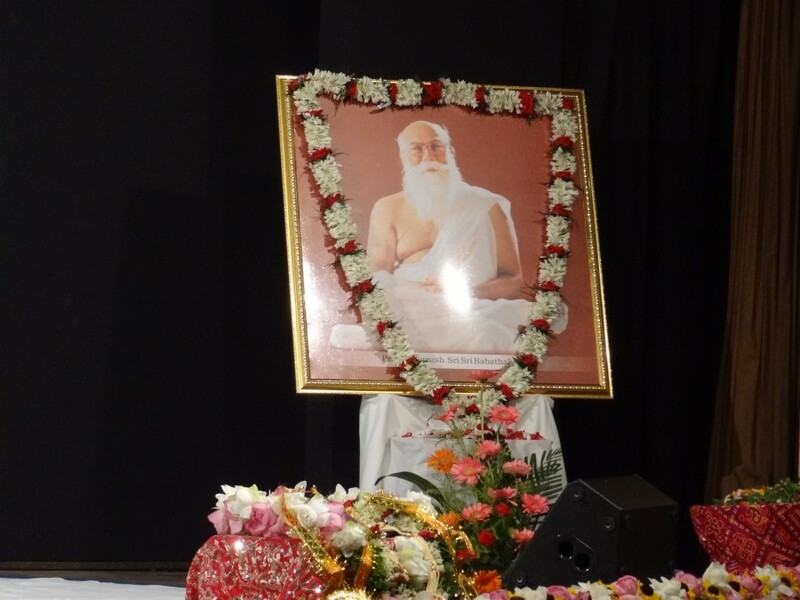 Finally, the devotees offered floral tributes to the wooden sandals of the Guru. Book Fairs at Sonarpur, Narendrapur and Kolkata : 2013-2014 Saccidananda Society participated in the 24th Book Fair at Sonarpur, 24 Parganas from December 13 to 22, 2013. Also, on the occasion of the 150th birth anniversary of Swami Vivekananda, Narendrapur Ramakrishna Mission Ashram organized a Book Fair from February 11 to 15, 2014 in its premises. Saccidananda Society participated in it. The fair remained open from 2 pm to 8 pm daily. 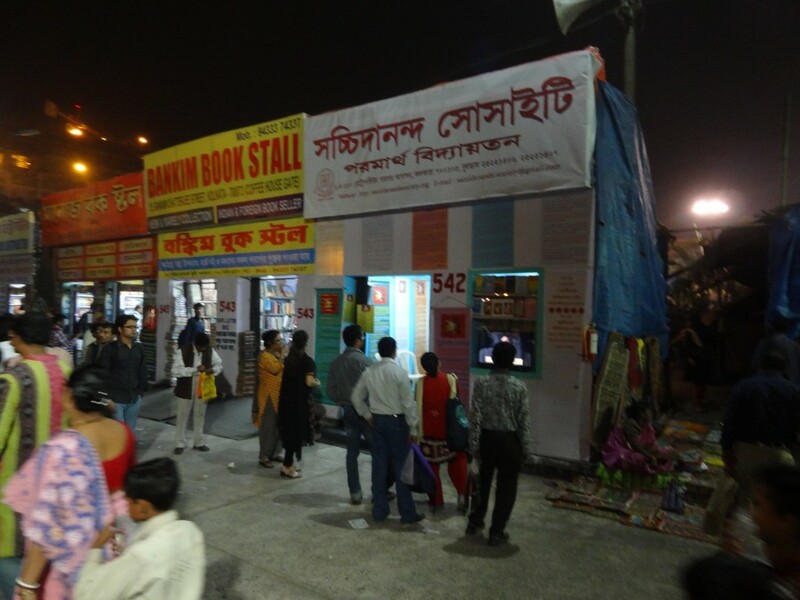 The International Book Fair, Kolkata started on January 29, 2014, at Milan Mela premises and continued for ten days. Like every year Saccidananda Society participated in this as well. The stall number of the Society in the fair was 542. We received overwhelming response from the public in all the three Book Fairs. Gurupurnima 2013 Gurupurnima was solemnized at Kalakunj on July 22, 2013. A treatise ‘Atmasutra’ (Vol. I), which is a collection of eighteen ambrosial discourses of Sri Sri Babathakur, was released by Professor Dr. C. R. Mahata on the occasion. Another release on this day was an Album titled "Mere Preetam" containing revealed divine songs of the Divine Master sung by Ms. Shaoni Mitra. 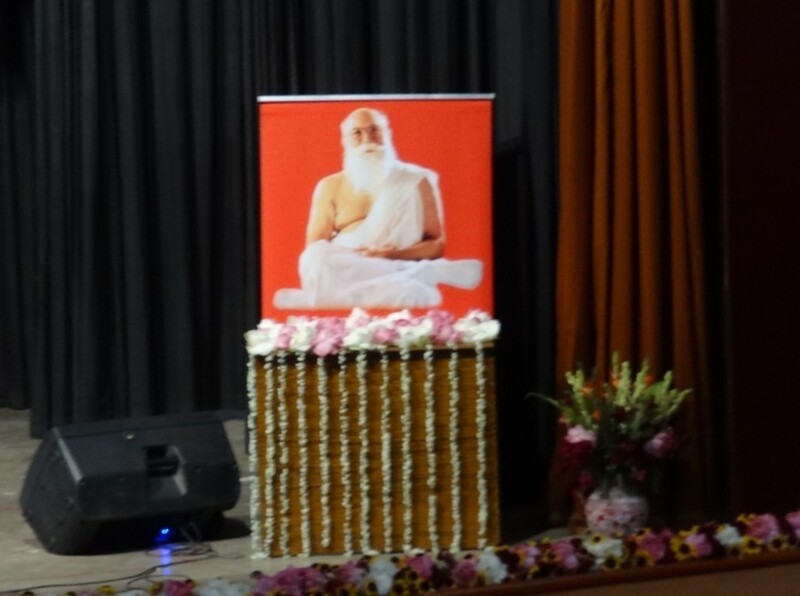 A DVD of the divine discourses of Sri Sri Babathakur was also played. The devotees sang His revealed Bhajans. The functions ended with floral offerings made by the devotees to Gurupaduka (wooden sandals of the Guru). Gurupurnima 2012 Gurupurnima was celebrated at Kalakunj on Tuesday, July 3, 2012 at 6:00 pm. The restructured and reformed website of the Society was formally opened by the president of the Society on this occasion and its features were demonstrated to the audience who applauded and appreciated the work of the web-designers. Devotees of Sri Sri Babathakur rendered His Bhajans to the delight of the audience and finally all members of the audience offered flowers and pranams to the Guru Paduka (wooden sandals of the Guru).